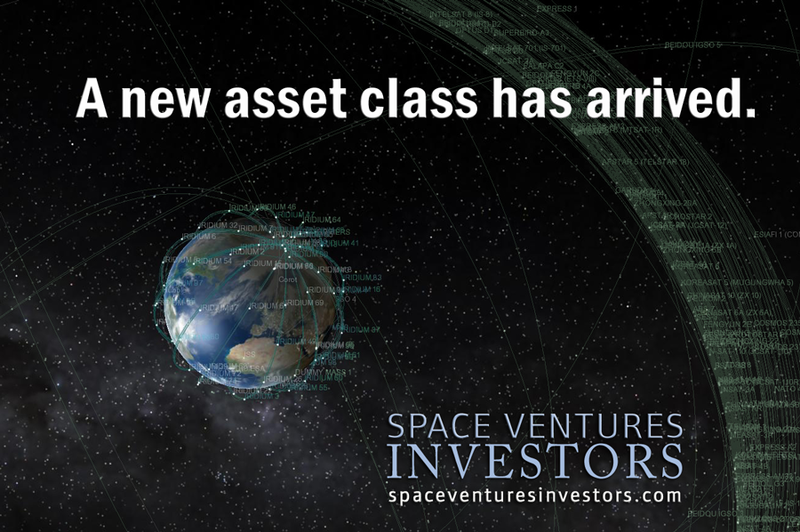 If you are interested in keeping in contact with Space Ventures Investors and up to date with interesting and innovative space related investing insights, including space investor insights, then join our quarterly free newsletter service. Will Asteroid Mining Crush Fiat Economies? - 2016 Q2 | Mining the Moon, harvesting Asteroids, and Extracting Resources from Space are far-flung ideas and locations (except for the Moon) and niche businesses are developing plans to unlock massive wealth in the form of energy and precious metals. The Effect of Quantitative Easing on the Space Industry - 2015 Q1 | The Universe is Expanding, So Why Not Expand the Money Supply? New Space lived up to its promise and really took off in 2015 as private enterprise began outpacing government space agencies in preparation for new missions. Highlights included Planetary Resources launching the first asteroid mining prospecting satellite for testing, and Space-X landing an orbital booster back down on earth. See SpaceX Completes a Vertical Landing at Cape Canaveral.[http://www.popularmechanics.com/space/news/a18682/spacex-nails-a-vertical-landing-at-cape-canaveral/]. SpaceX has ongoing vertical landing procedures to successfully test, and although sometimes expectations are not met, they are pushing on. Beyond the private space companies, the public space sector has made some amazing discoveries: NASA found that water is more abundant on Mars than we once thought, and flew a space craft around Pluto. All of these wonderful things are setting the stage for the largest economic boom in history. The public sector is gearing up to test the most powerful rockets in history, and made great progress in testing them this year. However, we also found out the private sector is well on track to pass the public space industry: The vast majority of launches this year were made by the private sector, even after accidents that would have grounded public programs for a year or more. The private space industry is becoming a hotbed for investment and innovation and Space Ventures Investors is excited to see what they'll do next. So What's Coming in 2016? New Space in 2016 is set to have another record year. Space-X has several launches of its new Falcon Heavy rocket scheduled. This will be the most powerful rocket in the world when it is first launched. The United Launch Alliance will also begin testing their new heavy lift rocket the Vulcan. In addition to this several test flights are scheduled for suborbital tourism companies including Virgin Galactic, XCOR, Worldview, and Blue Origin. ULA and Space-X will also begin preparations to send their first manned flights to the international space station. Space-X is also planning to announce plans for their Mars Colonial Transporter; an advanced spacecraft designed to transport over one hundred civilians to Mars. Also, additional sensational projects such as Mars One are going to continue to vet new astronauts this year for their mission. Interesting developments in 2016 that will only come to fruition in the next few years are the growth of low earth orbit (LEO) satellites. OneWeb is planning a Massive LEO Satellite Constellation of 720 satellites, and SpaceX plans to build 4,000 Broadband Satellites. There are other players, both large and small, that are stepping up to the challenge for low earth orbit communication supremacy; there is no other way to describe this new leg in the commercial space race. Smaller Satellites (including nanosats and micosats) are a game changer, not only will size and new technology triumph over the last centauries� bus-sized satellites (which were pretty much designed and built for the same purposes) but the use is widening and can scale up to demand: Global internet thanks to vast satellite fleets will usher in a new demands from consumers for their on-demand anywhere communication. As with any value chain, there are multiple points to invest in. Space Ventures Investors is optimistic about the outcomes of many of these upcoming events, and extremely optimistic about the financial opportunities for investors in the coming year. More than that we're excited about the incredible opportunities for the human race in the coming years and excited to see what New Space comes up with next. Question: Space, What is it Good For? Space, What is it Good For? For those who have made a career in space or understand trickle down of space technology in the mass market, the question is irrelevant, but from time to time the question needs to be answered in a straightforward yet cursory manner, after all, in a healthy democracy the voters and eventually politicians dictate how and even if, humanity elevates itself from earthly politics into space, exploration and beyond. 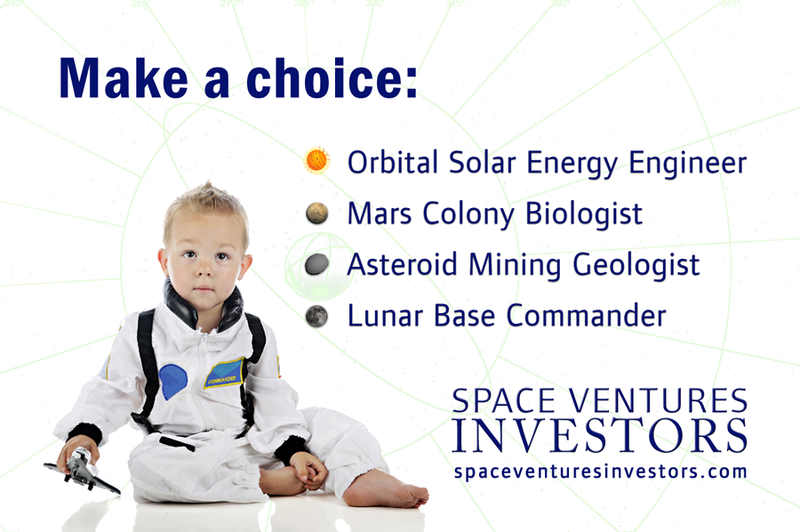 Voters, like investors, will not support space if they can�t see any value in it. The best answer to �Space, What is it Good For?� is to point out the practical applications and benefits space travel, and the base it built upon, space technology, have for the human race. As it turns out, one doesn't have to look that far to get their hands on space age technology. In fact you're probably using various downstream space technology that was invented for �up there� but is used on daily basis. Just look at the device you're using. Modern day microchips come from the guidance computer developed for the Apollo missions. Modern day microchips have revolutionized the world we live in today. Miniaturization of technology is integral to space missions � squeezing in technology decreases the payload cost. Modern medicine has also been revolutionized by the space industry. Have you ever undergone a CAT scan? That technology was originally developed by NASA to scan for imperfections in space components. Even ear thermometers came out of a space program; the technology was developed by scientists to detect the birth of stars. Some of the most basic amenities we use every day were developed for space, and the list goes on. The insulation used to keep your home acclimatized was originally developed by scientists for space craft. Cordless power tools were developed by NASA to drill through rocks on the moon. But that�s not even close to all of the things we use on a daily basis that were developed by the space industry: Smoke detectors, LEDs, solar energy, freeze dried food, water filters, and workout equipment, are just some of the many inventions we use every single day. The private space industry is continuing to innovate where the government agencies have slowed down, or simply left the market and let human innovation to fill a space tech vacuum. Rapid advancements in rocketry, reusable systems, communications, computing, propulsion, and energy technologies are just a few of the things that will soon make their way to the general populace. The space industry is surging forward at an unprecedented pace - A pace that should have everyone enjoying some very innovative new technology very soon. Following on, an answer to the more direct statement �What good is space exploration � there is nothing out there� is not just the space exploration, like the recent photos of Pluto, but when you turn the technology around and look down on earth: Earth Observation from space is key to understanding more about our environment. Right now there are numerous earth observation satellites looking down that measure more than just the weather in order to give TV Viewers and App-users a better idea of what to do on the weekend. Another milestone of downstream space technology is the fast approaching global connectivity offered by existing and new fleets of communications (e.g. phone and broadband) satellites. A connected, aware, observed world is how we benefit from space technology, and the more we explore, the more we have to show for it in mass-market products. After close to a half year of research, Space Ventures Investors has released �Space Commerce Presentation 2015�, on the same day that ESA has announced that their probe Philae has woken up after seven months in hibernation on the surface of Comet 67P/Churyumov-Gerasimenko. At a recent visit to the ESA in Darmstadt I saw a clone of Rosetta, the lander that released Philae. Rosetta was designed about 20 years ago, and on the clone (used for testing the actual model out in space) one can still see the old hardware (Sun Microsystems) hooked up to it. Rosetta was built to withstand a long voyage but is based on pretty simple, compared to today�s computing power, technology and software. The Space Commerce Presentation was written by myself (Simon Drake) and Brad Lewis. Our in-house research is vital to understanding what is going on in the space industry, and where the next investment opportunities are. 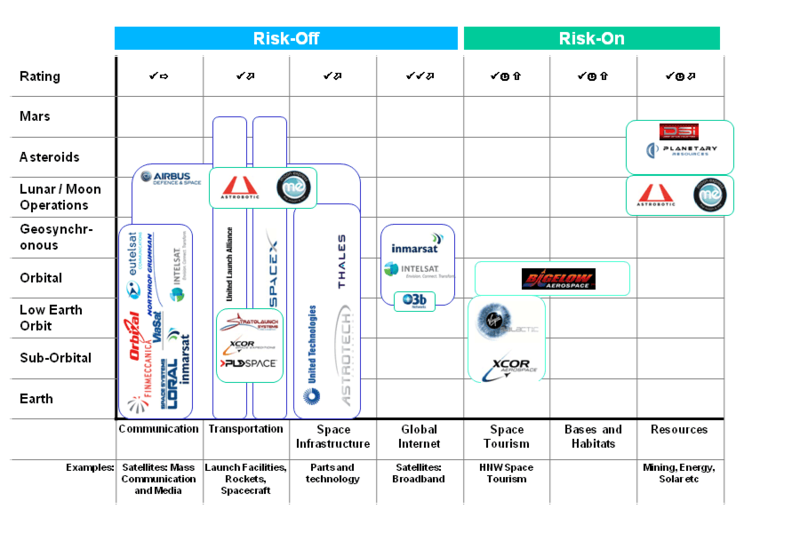 Of interest is the overlap between Aerospace and Space; many aerospace companies are significantly involved in space, and over time this technology will be leveraged higher up for more advanced space technology. Pure-space companies are slowly arising, some are public, but most are at the start-up stage. Of particular interest is the �2016 Rocket Showdown� (page 26) between NASA and SpaceX. Who will provide the cheapest launch price? The Universe is Expanding, So Why Not Expand the Money Supply? What is the effect of Quantitative Easing Impact on the Space Industry, in the Vacuum of Space? Space Enthusiasts are notably well educated, or just well read. Space Fans are in-tune to the basic laws of physics and are probably equal in number to Economics Fans who are in-tune with the basic laws, and broken policy laws, of monetary supply; how much cash, coins and digital dosh is sloshing about in a system. For a worst case scenario think of the Weimar Republic and people pushing wheelbarrows full of paper money to buy a loaf of bread: Hyperinflation. Here at Space Ventures Investors we have to keep an eye on Space and the Economy, and when there is advancement in one, there should be an advance in the other. The technology transfer from the American drive to send humanity to the moon, and how it filtered down to the common handyman (the hand held battery powered drill is a good example) isn�t quite the same as the monetary base transfer of numerous Western Central Banks in an effort to supply the common man with more Dollars, Yen or Euros, so the he can supposedly buy another hand held drill, and in aggregate, keep the economy pumping along. We may have had a technology inflation that was good for selective economies, but monetary inflation is in the end good for none, bar the wise who hold gold, silver, property and antiques; astute investors who are merely trying to preserve their wealth. Quantitative Easing, in case you haven�t read between the lines of the financial press, is political driven money printing. There are various techniques in place to control the digital money printing and which bonds to buy, who to bail out and not, and there are various reasons why it is a policy tool. Regardless of your politics, or which variant of Economic Theory you believe, or even if you think global over-inflated stock markets reaching new highs are in the midst of a Crack-Up-Boom, it doesn�t matter, you can�t do much about it. So how does an expanding monetary supply affect the willingness of governments and individuals to invest in space? It doesn�t. The percentage of budgets respective governments commit to spending on space programs will always be proportional to their other commitments, which are driven by their voters. Now to switch over to private investors, from the basic buyers and sellers or aerospace stocks right up to venture capital firms funding US space start-ups, it is still about proportionality. More money sloshing about in the gas tank never means more money to splash about. As the monetary bases grow, the value of the respective currencies decreases. But now comes the warning. With Quantitative Easing, you enjoyed being wined and dined but now comes the bill. Stock markets and stocks; like the rising tide that lifts all boats, over-valued by money printing will be adversely affected by currency volatility. Similar to rockets that can�t break out of earth�s gravity, what comes up will come down. And with quantitative easing, no earth based economy has escaped earth�s gravity. In time, all returns to its true worth. End note: Space Ventures Investors is timid about expectations of all stocks to continue rising.